West Course at Sun City Lakes Golf Club is located in the heart of Sun City. 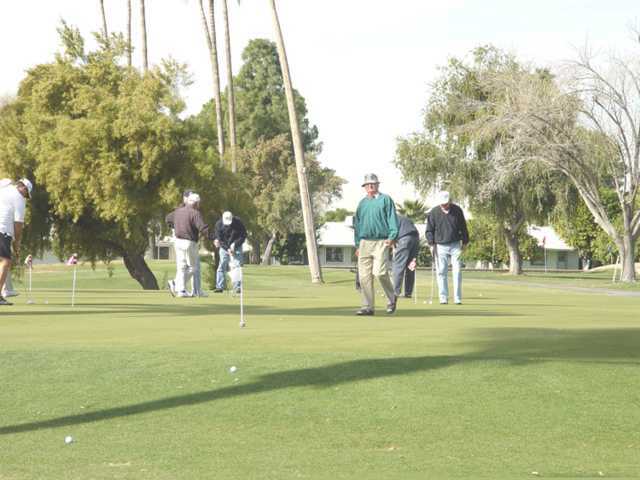 This course, a beautiful 18-hole facility with plush greens throughout, is known for its creeks and lakes. A full-service snack shop on site serves breakfast, lunch and an assortment of beverages. The Pro Shop has a wide variety of accessories available for purchase. I think this is a great course! If your looking to play a fun and playable course that is enough challenge for most people this is a great course. If your the person that pounds their drive 300+ yards, maybe not for you. But maybe it is? Great staff and the course is in great shape. Very bland layout. Good for seniors who have started to play. Condition is better than others in the area.